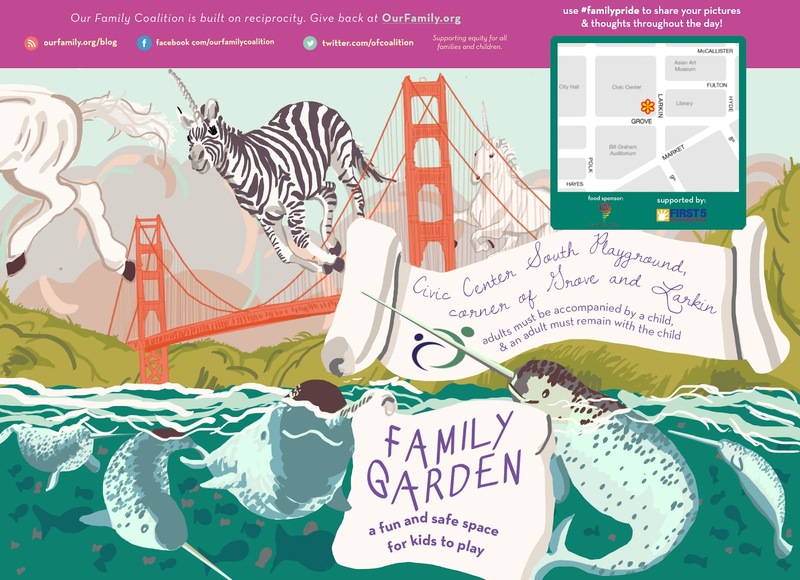 Check out the postcards I designed and illustrated for my organization's San Francisco Pride and Family Garden! 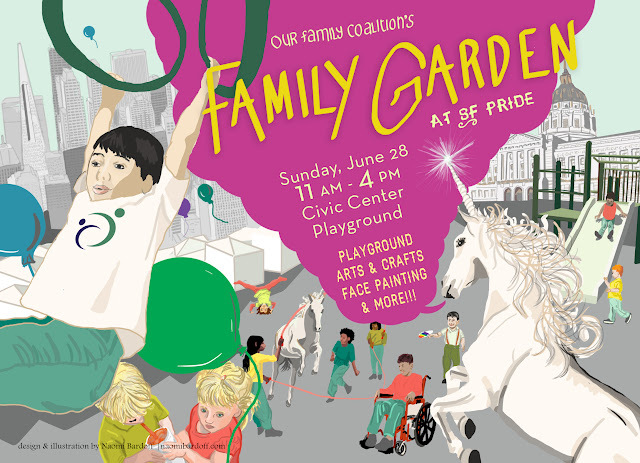 It's a family-friendly space in the midst of the festival, with games, facepainting, play structures, a bubble party, and more. 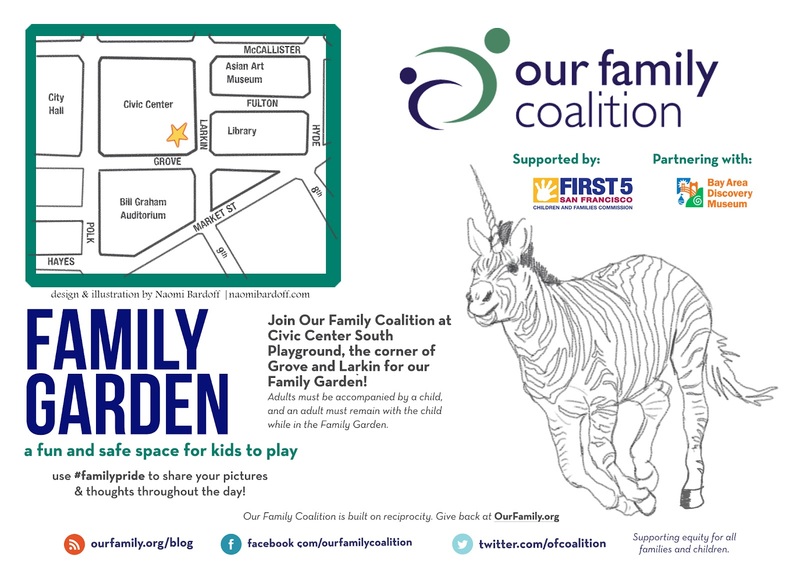 Check out the Our Family Coalition website for more info. My instructions were to include a recognizably San Francisco and urban space with lots of kids, including kids playing double-dutch jump rope with unicorns. Hence San Francisco city hall, the downtown buildings, and the unicorns. My first version of the back featured even more unicorns plus the Golden Gate Bridge and some narwhals. There are no narwhals in the Bay, but they are the unicorns of the sea so I felt that they would come join their horned brethren for the Pride celebrations. We ended up getting 5"x7" postcards, so the text on the back was too small to read. 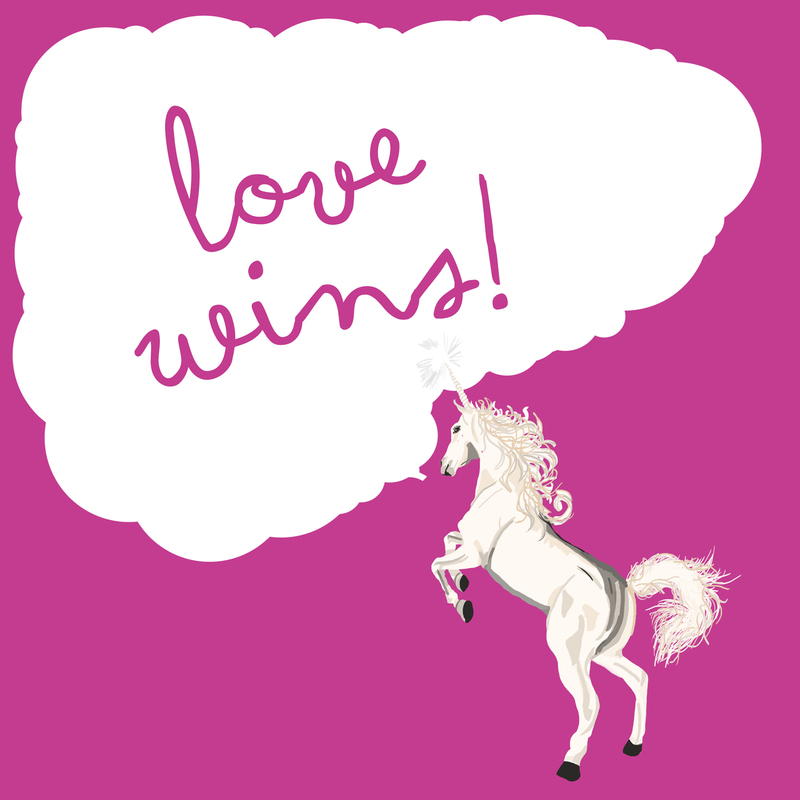 I made this revised version below that was more text-based but still featured a zebra-unicorn, now back in sketch form. Drawn with the Wacom Bamboo tablet I have at work in Adobe Photoshop. I used the unicorn imagery for other promo at work too, like signage at the Garden, buttons, supplementary flyers, and Instagram posts.